Mumbai: Movement for Peace and Justice (MPJ), Maharashtra, organised a two day leadership development workshop in Mumbai. Public Distribution System: The Right to Food figured prominently during PDS talk. India has one of the worst records of malnutrition. More than 47% of children are malnourished in India as compared to Sub Saharan region, which has 27%. More than 55% women suffer from anaemia while 57% of the pregnant woman, who are more prone to this disease, suffer from anaemia. It is even higher among adolescent girls with 90% suffering from it. It advocated the universalization of the PDS. The MPJ also support many fair price shop among various district of Maharashtra that by enabling poor and needy access to food. Many slum dwellers in cities do not have BPL cards. Such unorganized labour force needs the same. MPJ is running a campaign for these groups to enable them BPL and Antodayya cards. 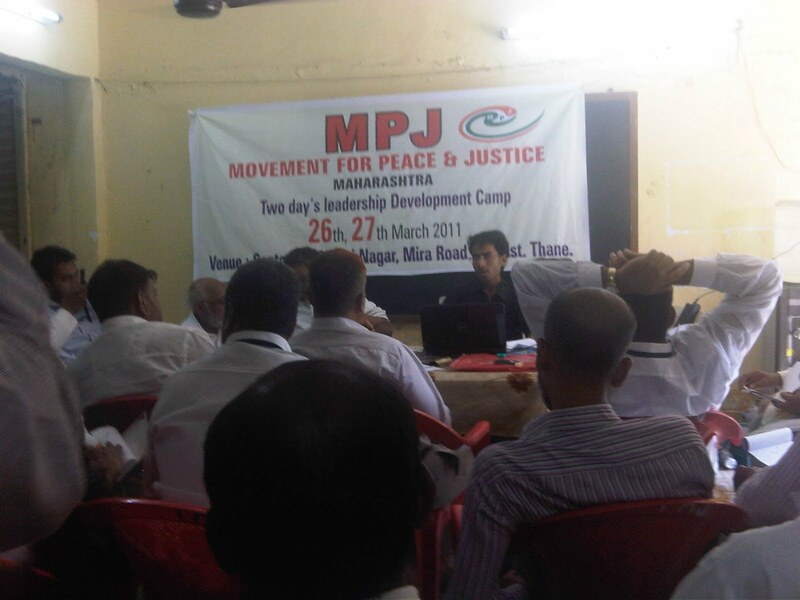 Justice Wadhwa, who was on recent Maharashtra visit, gave a patient hearing to MPJ cadres. MPJ cadres believe that the government’s plan to directly transfer the cash too would not be very successful. ‘The PDS should be based on Protein-Energy based so that edible oil, pulses, millet and sugar are included.’ They also want that in rural areas and in poor slums Aganwadis should be set up based on population size for proper uptake of children and pregnant or lactating women. It also argued that emphasis should be laid more on clean drinking water, sanitation, hygiene and diet in all poor localities of the state. “Accountability and transparency should be made especially in areas of health care system”. MPJ also emphasized on awareness of the Right to Information (RTI) as an important tool to empower the people, in getting their due rights. Encouraged by its success, MPJ is planning many similar programs in several parts of the state in near future. Hyderabad, March 17 : Prime Minister Manmohan Singh’s statement after the nuclear disaster in Japan that there is no need to be panicky as India will take all safety measures is not only amateurish but also lacks wisdom. His statement gives the impression that the Japanese have not taken adequate safety measures. What type of natural calamities or man made lapses are in store for us, no one can visualise or predict leave alone taking safety measures against them. The prime minister who has no control over his own cabinet ministers and has unashamedly wailed in public that he was ineffective due to coalition government, and caused the nation unimaginable and unprecedented loss by allowing mind blowing scams, issuing such absurd statements like taking all safety measures- lacks any tangible weight. The urgency with which the US authorities issued statement in the immediate aftermath of the Japanese Nuclear power plants disaster urging India not to abandon Indo-US nuclear deal as India is in dire need of power and only nuclear power can fulfill it clearly shows the ugly face of US business interest over and above the safety of Indian lives. As a Nation we all wish that good sense should prevail on all those who are at the helm of affairs in taking stock of the nuclear reactor accidents at Chernobyl, Three Mile Island, and Fukushima and our own Bhopal gas tragedy experience to learn appropriate lessons and put full stop to all such death dangling projects. With our corrupt and poor quality practices inherent in the system, it is very dangerous to meddle with such high risk projects. The statements emanating from authorities of the Indian nuclear establishment that we have already handled earthquake and tsunami situations is highly misleading and shallow justification that qualifies as institutional malfeasance. And we are in no way more capable of dealing with nuclear catastrophe, than the Japanese. 1. 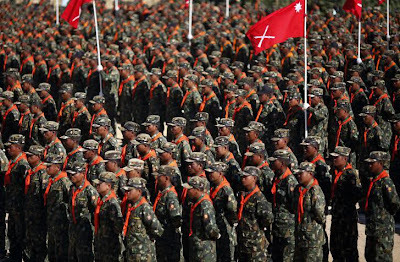 Attacks by troops of the SPDC military clique against the Shan State Progressive Party (SSPP)/Shan State Army (SSA) base camps from March 13 to 15, 2011 were perfidious and warmongering acts by the military clique. The launching of the so-called 4-cut operations by the military clique in the base areas of the SSPP has caused untold misery to the local populations. We, the NDF, strongly condemn the SPDC military clique for these heinous acts. 2. Continued attacks on the ethnic nationalities and intimidation through show of military force by the military clique are in disparity with its declaration to form a civilian government and march on the democratic road. 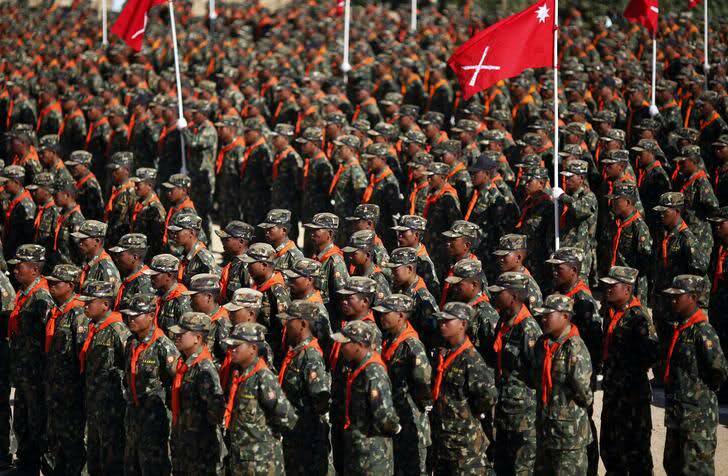 If the military clique continues to use its military force as a means for pressure, the various armed ethnic nationalities will have to resist collectively and thus the flame of civil war in Burma will burn more fiercely. If it is the case, the military clique alone must be held responsible. 3. The military clique has continued to use violence and war in repudiation of constant calls by the ethnic nationality forces to resolve the political problems politically, through dialogue and negotiation. These acts of militarists have smashed national unity to bits and we can never look forward to national reconciliation in anyway. 4. We would like to appeal earnestly to the international community to use pressure and humanitarian intervention in order to stop offensives by the military clique and to help effectively the innocent peoples of the ethnic nationalities, who have to face endless troubles due to heinous acts of the military clique. 5. In conclusion, we solemnly urge members of recently formed the ‘United Nationalities Federal Council’ to collectively use political and military means to resist one sided pressure by the military clique. There is no political will to undo the “historical injustice” perpetrated on the adivasis and other forest dwellers. Their legitimate rights to land and the forests are not being recognized under the Forest Rights Act. Of the 2.88 lakh claims that have reached the Sub-Divisional Level Committees, 1.70 lakh claims (59%) have been rejected. Only 1.09 lakh (32%) of the total number of claims that have been filed have received final approval. Further, the average area of approved claims ( 0.63 hectares ) is not even 50% of an economic holding. In tribal dominated. Akkallkuva taluka of Nandurbar district, only 640 cases out of a total of over 18,000 have approved, while in Nandurbar taluka not even a single claim of an adivasi has been approved. In Thane and Jalgaon districts, many of the “approved” cases are in reality, “partially rejected” cases, since while a tribal may be in possession of 3 acres of land only about half an acre has been approved. He thus faces eviction from the remaining 2.5 acres. In Raigad district, even claims on Dali lands which had been granted to cultivators way back in the 19th century have been rejected. Only 4,000 out of 18,000 claims ( 23 %) have been approved. The average size is only 0.18 hectares. In Vidarbha as in other parts of the state, the claims of non-tribals who are sons-of-the-soil are not even being considered. Claims including those of tribals residing in Municipal areas have suffered the same fate. Most importantly, a miniscule number of community claims over the forest have been approved. In fact, the government has deliberately failed to disseminate information and encourage villagers to file community claims over forest resources. Despite the pathetic state of implementation, the government claims that the Act is being satisfactorily implemented and that implementation is nearing completion. Nothing is further from the truth. Thousands of claims and appeals are pending. The issue is straightforward. The government of Maharshtra has failed to implement the law. The Tribal Department and Revenue Department have fallen prey to the dictates of the Forest Department, which has systematically tried to derail the Act. The Forest department, the largest landlord in the country, holding 23% of land in the country, has refused to loosen its colonial hold over the forests. The government has totally failed to democratize the governance of forests, which is the basic thrust of the Forest Rights Act. The decisions of the Gram Sabha, a constitutional body, have been illegally over-ruled by the higher authorities. The stage is being set up for the takeover of common property resources through REDD and other agreements by foreign and private capital. 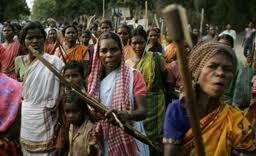 Is the Maharashtra government serious about protection of adivasis and other weaker sections ? Is it going to ensure that the Forest Rights Act is implemented both in letter and spirit ? Will it ensure that the legitimate rights of the adivasis and other forest dwellers will be recognized ? * Stop illegal interference of Forest department in implementation of the Act. * Review all rejected cases. * Undertake a Campaign for recognition of Community claims. * Follow the rules of evidence as specified in the Act and Rules. Do not depend solely on documentary evidence of forest department and satellite imagery. * Approve entire area under occupation of claimant while finalizing claim. * No evictions from Sanctuary Areas without due process. * Implement the Forest Act in all Municipal areas. * Ensure rights of bhoomiputra non-tribals are recognized. * Distribute 7/12 extracts to all approved claimants. * As per directions of High Court, regularise all encroachments on gairan and govt wastelands prior to 14.4.1990. One of the largest Asian human rights NGOs hosted a forum on Government and Civil Society Cooperation to Protect Ethnic Minority Refugees in Asia on February 22, at Korea University in Seoul, South Korea. The annual forum of the Asia Human Rights group has been organized by the Korea based Asia Center for Human Rights (ACHR) since it started in 2006, along with the support of other human rights institutes. The forum kicked off with a ceremonial opening presented by its president Chanrok OH, followed by speeches from Innwon Park (Dean of Korea University Graduate School of International Studies), and Byung-Chul Hyun (Chairperson of National Human Rights Commission of Korea). There was a full audience in the meeting hall, including a wide range of people from intellectuals, experts, activists, to students. They were mostly from Asia-Pacific regions, including Australia, Japan, Southeast Asian countries, as well as from Germany, Canada and from other countries too. During the forum sessions the main issues presented were those of the Myanmar and Bangladesh refugees, including the Rohingya issue. The forum gave a clearer view of the formation of the Federal Union in Myanmar in early times and of how later the military abused and misled the country until the present date. Furthermore, the forum also discussed how ethnic groups in Myanmar were suffering more than any other groups elsewhere in the Asia region. Some attendees realized the need for intervention from the international community and for international troops to be stationed there in order to start monitoring human rights violations in the hardline military regime, since the non-violence method has been totally exhausted in Myanmar. Moreover, the international community is afraid that Myanmar might become a nuclear weapon bearing nation and so could threaten regional and international security. The discussion also touched upon the Rohingya issues and recognized they are critical issues between Bangladesh and Myanmar, as the two countries are using them as a political tool. Both countries are responsible for solving the problem. Later, the participants and activists made comments and analyzed the above topics and the whole range Asian refugees’ issues. 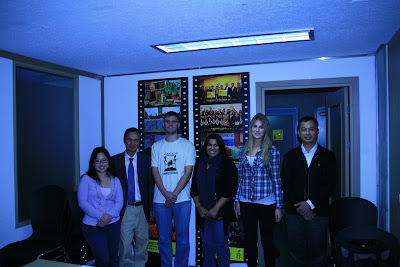 It is a good forum to increase awareness and education of human rights in the Asian region. It is also good to hear that ACHR will keep doing such forums, and other activities related to human rights. Adivasis have been residing in forests for generations and their livelihood has been dependent on the forest resources. With physical hardship they have converted the barren land into small agricultural plots to meet their livelihood needs. They have been demanding the title to these small plots of land be converted on their names. Additionally they have been demanding that their rights over the forests be recognized. After a prolonged nationwide agitation by People's Organisations and Left progressive parties for nearly 60 years, in 2006 Central Government passed the Forest Rights Act. It was expected that the process adopted would vest land and forest rights in tribals but unfortunately the Administration, especially of Forest Department has put many hurdles in the implementation of the Act. In Maharashtra 60% of the filed claims (nearly 3lacs) have been rejected. These eviction from their lands. The Organisations working with Tribal's in State and all have Adivasis have therefore decided to march from there villages to Mantralya (Mumbai). to press for their demands. About 25000 Adivasis women and men are epected from to arrive in Mumbai on evening of 14th March 2011 with a common demand that the government properly implement the Forest Rights Act and lift all hurdles in implementation . They will be in Mumbai up to the night of 16th March. In solidarity with the struggle, it is our moral duty to make arrangements for the stay and food in Mumbai city. As per our calculation, a minimum of Rs.75-80 per person is required to meet the expenses for Three days. We appeal to you to contribute towards this to the maximum extent possible. Kindly, contact regarding the same on phone numbers given below. We are confident that all progressive parties, trade unions, organizations and individuals will support this cause. The National Alliance of People’s Movements expresses its shock and anguish at the continuing destruction of thousands of hectares of well-irrigated lands in the Nimad region of the Narmada valley due to the Indira Sagar and Omkareshwar canals, being pushed without compliance with the mandatory environmental safeguard measures and without assuring prior rehabilitation with alternative land and livelihood to thousands of affected families. Having visited the agro-rich valley and having seen the self-reliant livelihoods of the farmers and adivasis, already threatened by the giant Sardar Sarovar Dam, we are appalled that the Madhya Pradesh Government has embarked on an irrational and destructive agenda of excavating huge canals through the very same villages, already in the submergence area of the SSP! This is an unnecessary burden on the people and the State exchequer, the High Court of M.P. ruled in November 2009. We have been observing that the multi-disciplinary Expert Committee appointed by the MoEF in 2008 and chaired by Former FSI Director General, Dr. D. Pandey has submitted a series of Reports to the Ministry, pointing out glaring non-compliance of the various stipulations in the clearances and guidelines to the SSP, ISP & OSP. The Committee clearly concluded that the command area development plans for both the canals are incomplete and cannot be approved. We only find it reasonable that the Committee’s conclusion in its July 2010 report (4th interim report) on no further land acquisition and canal construction and recommendation that the Supreme Court may withdraw its order of temporarily permitting the canal work must be accepted and upheld by the Ministry as well. Narmada will be yet another litmus test for the Environment Minister, Mr. Jairam Ramesh and we await his immediate decision to stop the canal work, as per the latest order of the Supreme Court of January 27th, 2011; until all the environmental pre-conditions are fully complied with and rehabilitation is carried out as per the state policy and judicial dicta. We expect him to save thousands of hectares of irrigated land on the river bank, falling in the catchment area of Sardar Sarovar and Maheshwar Dams. Both in Narmada and elsewhere, the Ministry must take a progressive view that agriculture is indeed a part of ‘environment’ and harm to the nation’s agriculture is a threat to the environment itself. The country has witnessed massive devastation of agriculture due to water logging, salinization etc. in the case of many other irrigation projects across the country whenever the command area plans and works have been neglected. Such unwanted and unwarranted destruction should be averted by all ‘costs’, as rightly indicated by the M.P. High Court itself in its judgment in the canals case. The NVDA must explain to the Court as to how and why is it quoting shockingly low figures of irrigated area in the command area, when as per the M.P. 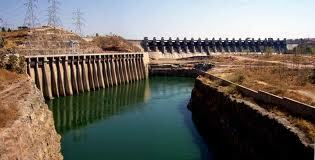 Govt’s own DPRs of 1982-83 for both the Dams, the existing area under irrigation was not less than 22,000-29,000 ha. We demand accountability from the Madhya Pradesh Government which is committing absolute contempt of the High Court and Supreme Court’s Orders by pushing ahead the canal work beyond the stipulated period of 10 weeks (which expired in May 2010), without MoEF’s approval and is not even providing alternative land in rehabilitation to those oustees who have already lost their land to the canals and are facing a situation of severe deprivation, thus violating the Supreme Court’ interim order and the state Rehabilitation Policy. We find truth, both in the demands of the farmers and also in the meticulous findings of the People’s Tribunal Report of Justice (Retd.) A.P. Shah (June 2010) and call upon the Ministry to issue directions to the state government to review the canal network and exclude the already irrigated areas, initiate dialogue with the river-bank farmers and adivasis, minimize displacement and rehabilitate all the affected oustees. We stand in solidarity with the people, resisting the illegalities in the name of the canal work and wish to state that such non-participatory ‘development’, is a farce on the Indian Constitution, people’s basic rights and rule of law itself. The House of Sharing International Outreach Team organized protest rally against Japanese sexual abuse in-front of the Japanese embassy in Seoul on February 2, 2011. This weekly Wednesday protest is 955th time since it started in January 8, 1992. 1. Admit the drafting of the Japanese military "comfort women"
The protesters were including the two Korean women victims (halmoni), some Korean supporters, and foreign supporters turn out more than expected. A few Japanese were also seen among the protesters. Most of them were contacted through Amnesty International and Asia Pacific Youth Network. During the rise of Japanese fascism, Japanese military sexual abuse was spread out across East Asia, such as China, Philippine, Indonesia, Myanmar and other nations. Because of the consequence of Japanese aggressive policy of Greater East Asia. Japanese military war crime is the largest crime against humanity and human rights abuse in modern Asia history. It is also a lesson to the other Asian countries, such as North Korea and Myanmar military. You can join every Wednesday day protest in front of Japanese embassy from 12pm-1pm. 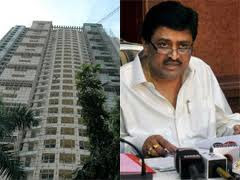 Former Maharashtra Chief Minister Ashok Chavan has been named among 13 in the FIR filed by the CBI in Adarsh society scam. FIR proves that the guilty are not very far from punishment and strengthens the hope that the other guilty that have been left out will also be booked. NAPM welcomes the registration of FIR against the guilty 13 officials and bureaucrats who have been booked by CBI under section 120 B, 420, 468 of Indian Penal Code & section 13 (1) (d), 13 (2) of the Prevention of Corruption Act. The charges range from Criminal Conspiracy to Cheating & Dishonesty, forgery and abuse of official power for pecuniary benefit and might lead to imprisonment from 2 years to 7 years. NAPM had filed a Writ Petition in the Bombay High Court for registration of FIR against the guilty and the High Court Bench of Justice Marlapalli & Justice Salvi had rapped the CBI on January 1 for not registering the FIR and thus a time limit of 10 days was given. According the FIR was registered yesterday by the CBI in the Special Court of Additional Session Judge MR Aglawe. Those named in the FIR include chief promoter of the Adarsh Society R.C. Thakur; the former Member of Legislative Assembly Kanhaiyalal Gidwani, Brig (retd.) M.M. Wanchu, and the then Collector of Mumbai, Pradeep Vyas Maj Gen (rtd) A R Kumar, Brig (rtd) Ramesh Chandra Sharma, the then GoC (MG&G), Brig (rtd) Pitambar Kishore Rampal, the then Deputy GoC (MG&G), Subhash Lalla, the then Principal Secretary to CM, Ramanand Tiwari, the then Principal Secretary Urban Development, P V Deshmukh, the then Deputy Secretary Urban Development Department, Maj Gen (rtd) Tej Krishan Kaul, the then GOC (MG&G), Brig (rtd) Tara Kant Sinha, Jairaj Phatak, the then Municipal Commissioner. The court is to hear the petition on February 1, wherein the investigating agency is expected to furnish details of the inquiry. NAPM is being represented by Advocate YP Singh, Adv Ashish Mehra & Adv Kiran Bhalerao. It is very sad to hear that this place was attacked. But look at it this way, for 60+ years this is what happened in Sri Lanka to Tamils. Did any Singhalese take any action to stop these atrocities against Tamils in Sri Lanka? NO, a BIG NO. We, Tamils told Singhalese that what they are doing is wrong, but to them it looked right until now for the FIRST TIME they were attacked after 60 years. That is 60 years of tolerance and patience. Tamils we don't have leaders, we have losers, who lose the community to others. It is time people start talking. By the way we who live in the west have a different way of learning, it is suggestive learning that is we learn by our greatness to be great people. But the people in the South Asian region learn through fear, FEAR motivates them the way FAITH motivates us. Punishment is a form of corrective measure in South Asia. So for the 60 years of abuse of Tamils in Sri Lanka and killing of Indian Fishermen they have been given a punishment, but it is mild one for the 60 years of wrong doing. What Super Powers and the United Nation cannot do, a few people did it in a fraction of time. We are dealing with a nation of lawless people, every day in Jaffna alone at least one person is killed. We should have a bill board erected to post these numbers so that people can see it. This will wake up the Singhalese in Sri Lanka, that every action has its equal and opposite action. There are no international laws or contract to deal with "Internal troubles" in a country, that means the Right of the Might is the norm. It is then appropriate for there is no other mechanism available to remedy atrocities against minorities.. I am ready to debate this subject with the most eminent lawyer in the world in an open Town Hall forum. 40,000 people were mercilessly starved for one week and then slaughtered with chemical weapons and the world said nothing and the Singhalese said nothing. But they are up in arms over a minor incident. 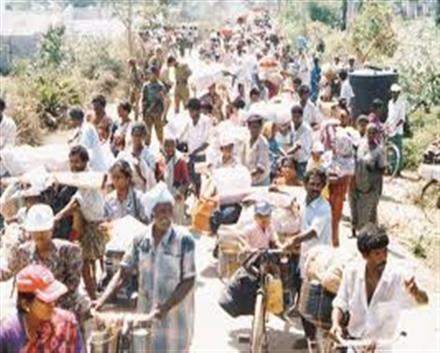 Sri Lanka has said what happened to Tamils in Sri Lanka is an internal matter, so then what happened in India is India's internal matter. RIGHT? The Singhalese in Sri Lanka is the proof that "Mind has no organ and tongue has no bones"! I KNOW SOME PEOPLE ARE GOING CALL ME RACIST, SO BE IT. I have lived with discrimination and atrocities for over 66 years. Let me take a parting shot at the "People who preach of higher morality and justice". What is (not) good for the geese is (not) good for the gander. The National Alliance of People’s Movements is horrified to learn that the Muzzafarpur district administration in Bihar has once again opened fire and lathi-charged the farmers and villagers of Chainpur-Vishnupur in the Marvan block for protesting against the perilous Bal Mukund Asbestos Company. Reportedly, at least a dozen people, many of them women and student-activists have suffered severe lathi-charge, pellet and even bullet injuries in yesterday’s incident. We have been informed that the situation in the villages is quite tense and there is in fact a severe paucity of land doctors, even to provide medical assistance to the injured woman. A report from the field is underneath. Thousands of people have been facing repression of both the State and the Company over the past few months since the Asbestos Plant is being pushed in the region at a severe cost to the environment, health and agriculture of the farm-based communities and local population. It is notable that the Company has already finished 60% work against the consent and interests of the local people and the environment. NAPM strongly feels that such non-participatory and forcible manner of pushing these harmful plants, by violating people’s basic legal and human rights and without due regard to the necessary environmental safeguards measures and processes is dangerous, undemocratic must not be permitted. NAPM expresses full solidarity with the people’s peaceful resistance and assets that due processes, procedures and the rule of law must be scrupulously followed and implemented in the case of every single project and the local people must have an informed participation and decisive say in all cases. 1. Demand a public apology from the Bihar Government for the serious of repressive incidents against the farmers, women, students and activists and assurance that no such incident would taken place in the future. 2. Immediately provide full medical services and compensation to all the injured persons. 3. Immediately stop all the work for the asbestos company and completely ban the production of carcinogenic white asbestos. 4. Initiate a dialogue with the local people, the Khet Bachao-Jeevika Bachao Andolan and activists before taking any step forward. 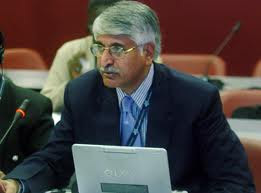 “Honourable Deputy Chairman of Committees, I move for the adjournment of the house to discuss a matter that is urgent, a matter of which notice was given with regard to serious security situation that has arisen particularly in the Jaffna Peninsula and generally in the Northern Province of Sri Lanka. This matter was to be raised by our party leader on the 4 th of January as Parliament convened for the first time for the year and a notice of that motion was submitted the previous day as required by the standing orders, however it was not taken up on the 4 th of January it was taken up on the 5 th instead on account of the fact or at least we were told, that translation of that motion was being delayed, however curiously on the 4 th of January Hon. Minister for Traditional Industries raised this matter. Honourable Deputy Chairman of committees I am coming to that, I will read the motion but before that I am seeking your permission to layout the background circumstances under which this motion is being moved and the Hon. member will do well to be patient and listening. Honourable Deputy Chairman of Committees, there is no point of order there, I have not refused to read the motion I will read it, I will read it. Honourable Deputy Chairman of Committees, there is no point of order there I said I will read it; I am giving the back ground to the motion. I was on the issue that persons who have been apprehended according to the Security Forces Commander are members of the EPDP. One then understands the indecent hurry of the Hon. Minister to have jumped the gun, so to say, and raise the matter himself in the house before it was duly and properly raised by the party leader of the TNA, but that doesn’t cloud the issue because the incidents are, therefore all to see I am moving to place a list of 24 incidents for the record now. There is a similarity; there is a pattern in some of these matters; bodies are found in wells in a number of incidents, but in none of those incidents are the death due to suffocation in the well, death has been caused previously and in almost all the incidents the bodies were found with torture marks. A high number of incidents have been reported from the Maanipai area and also from Vadamarachchi East particularly in the Kudaththanai area, where there are at least four incidents that have been reported. One of the later incidents reported from that area is that of an employee of the postal department who was at the forefront of the opposition to an illegal sand mining activity that is being carried out by the EPDP in that area. He had been seen at demonstrations; his pictures have appeared on the web. EPDP has, is said to have a, a foundation called the Maheswari Foundation, in fact there is no such foundation, all of us in this house know because there is an incorporation that is still being awaited and for sand that costs only Rs.286/=, Rs.286/= This illegal body run by the EPDP charges Rs.13,600/= Highway robbery, and people of that area have been protesting about this. In fact Maheswari Foundation that is awaiting incorporation in this house also cannot be incorporated at this point in time because the matter of the incorporation of this body is subjudis at this moment. There is a court case pending CA 647/10 in which the issue of incorporation of that foundation in itself is a subject matter and in due time that will be communicated to this house not to precede further on that matter. In any event it is a person who led the protest against this robbery by the EPDP on the residents of Jaffna. Armed gun men invaded his house; shot him dead and got away. I said there are many curious matters that arise in these transactions. Another curious issue is, several EPDP members attended the funeral, put up posters to mourn his death and tried to suggest that this was one their own members who had died when the world knows that he is one who opposed the EPDP. So one understands the reluctance of the Government to reply to this serious issue that has been raised and one understands the anxiety of the Hon. Minister to want to raise it first himself. The Government doesn’t have to look too far. The President had spoken a few days ago in Jaffna, and stated that he is resolved to do away with all the underworld Mafia, all the underworld groups, now for, there are no underworld groups in Jaffna, anybody who knows Jaffna knows that there are no underworld groups in Jaffna. The President, His Excellency, does not have to look too far to know who these persons who are illegally carrying arms, who are threatening people, who are driving the people to a fear psychosis, who are extorting money who are remanding ransom and who are carrying out these murders. That’s a group that is very close to the Government and that is why it has become necessary for the opposition today to move at this adjournment to discuss this matter and move this resolution for the Prime Minister to reply to every one of those incidents, the incidents I have placed. In fact when the incidents were given notice of the Honourable leader of the house stated that in 24 hours he cannot give a reply because there are several incidents, but 24 hours later he came and said since here is a full day adjournment debate that has been agreed upon I will answer every one of those incidents at that adjournment debate and we are awaiting the reply to those incidents that I have placed and I have placed many more that have happened between the 5 th of January and today. The Government must take responsibility for this state of affairs particularly when it is published in the media quoting the Security Commander of Forces himself, as to the identity of the persons who are related to at least one or two of these incidents. The most highlighted one is the murder of Mr. Markandu Sivalingam, The Deputy Zonal Director of Education of Valigamam. Now his murder has been carried out, I have personally spoken to very close relatives of his, his murder has been carried out by a well trained person, a person who had managed to get into that house through the Chimney. Through which even a person of my dimensions cannot go through. There are foot marks inside the chimney. He is so well trained that he has used a micro pistol and even when Mr.Sivalingam had held him down with the hands down being unable to raise his hand to fire, from below his hips he had fired one shot through his heart, such a marksmen; such an athlete at least the person who had carried out the murder of Mr.Sivalingam. He did not panic thereafter; he had spoken to his daughter, asked for the daughter’s earrings; showed his gun and walked out of the house without anybody apprehending him. Now various theories have been put forward as for the motives for this killing, but one thing that we can say is that the motive for the killing is not robbery. The motive for that killing is been personal feud, there has been no personal feud as some people have tried to suggest saying that his wife was living in another house, that’s two houses away, his mother is elderly and sick and lives alone so the daughter-in-law goes and sleeps in the night in that house that has been sought to be made out as though he was estranged from his wife. That’s far from the truth. One cannot find any plausible explanation that is being trotted out. There is one other suggestion that has been made, that he was opposed to the event that the Hon. Prime Minister attended in Jaffna at which the Tamil children were forced to learn the National Anthem to be sung in the Sinhala language in a short time. They were used to singing it in the Tamil Language. Now we don’t know the truth or otherwise of that allegation and I don’t want to be as irresponsible as to suggest that is the reason for the killing, but there is no other reasonable explanation that can be given either. Now why would the Government want this kind of negative publicity on itself? One cannot understand why the government is doing this or allowing this to happen. Either the security forces that are in, said to be in total control of the peninsula are running a mock and the Government has no control over them or whatever the security forces or the persons aligned to them. Two the government has no will to put a stop to. Also the Government is turning a blind eye then to the activities of EPDP which even the Security Forces Commander of Jaffna concedes is involved in some of these incidents. I think it is time that the Government moves away from tolerating this kind of persons to be part of their ranks. The Lessons Learnt and Reconciliation Commission that the Government appointed in an interim report has suggested that all those persons who are bearing arms illegally must immediately be disarmed. So your own commission concedes; your own commission says that there are such persons and in Jaffna it is common knowledge that it is the EPDP that is that group that is bearing arms illegally and that it’s part, that it’s constituent of this Government. I am making a fervent appeal to the Hon. Prime Minister who is present here and through him to His Excellency the President, at least at this point in time that you say that you want to reconcile with the Tamil people; at least at this point in time when His Excellency takes an effort to speak in Tamil to show his good intentions; at least now move away from these criminal elements that are part of your Government. It’s time that you told them enough is enough, this Government will not tolerate your criminality anymore and move them out of the Government’s fold. If you are serious about the Tamil people respecting this Government, if you are serious about Tamil people taking what you say seriously then it is imperative that you do this, but for the moment, the issue that has arisen now at this adjournment debate are identifiable instances of criminal activity that have all gone unresolved, none of this have been resolved. Out of 24 that I have placed now in Parliament, in this house hardly two or three incidents have been even investigated and one or two persons apprehended. This is a very strange issue, in other parts of the country where there is less than ten percent of the security measures that are prevalent in the Peninsula of Jaffna, within a couple of days persons are apprehended, investigations are carried out. So if you allow this state of affairs to continue, then you will be confirming the doubt that all of us have that it is some part of the Government that is responsible for all of these matters. Some of these incidents have spilled over to the other parts of the Northern Province as well. Some of my colleagues who will speak after this will detail those as well, but for the moment let me wind up my speech by moving that this house will adopt the resolution that I have proposed. In an absolutely brazen show of illegality and inhumanity, the Mumbai district administration began demolitions of the houses of the poor basti-dwellers at Ganesh Kripa Society, Golibar today and when confronted by people and activists, brutally swooped down upon them by violent force. Eye witnesses have reported of a very barbaric behaviour by the police, both male and female. The male police, in particular, exhibited extremely crude and humiliating conduct and manhandled some of the women, resulting in the their saris being torn, deliberate pulling of the marital chains etc. The sari of activist Medha Patkar was also torn and she was cruelly pulled by the hair. It is notable that this action is in the wake of people courageously questioning Shivalik Builders. The detainees have been kept at different police stations including Nirmal Nagar police station, Bandra-Kurla police station etc. Police officials who were responsible for the illegal action include Mr. Mahabdi, Mr. Rokde, Mr. Salunke, Ms. Lalavade and especially, Senior Police Inspector Mr. Bagade who marched into Ganesh Krupa Society started forcible demolitions and abuse of the protestors. Immediately, thousands of slum dwellers stormed the Western Express Highway and demanded the release of the activists and cried halt to the illegal and unjust demolition of their homes. Notably, many of these homes have existed since the early years of independence! It is shameful that instead of initiating action against the illegal builder-encroacher ‘Shivalik’, the administration continues to demolish and destroy hundreds of the dwellings of hundreds of hard-earned poor, along with their properties. 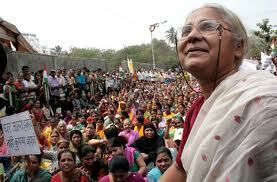 Medha Patkar has begun a protest fast against the illegal demolitions and atrocities by the police and administration. Thousands of basti dwellers across Mumbai under the banner of Ghar Bachao Ghar Banao Andolan have united at the spot in solidarity with the detainees and aggrieved and have been raising slogans of 'Buildershahi band karo" ; 'Gareebon ka shram kitna, haq kitna, hisaab karo, hisaab do'. · Immediate suspension, disciplinary and criminal action against all police officials and personnel involved in the demolition drive and force on the people. · Legal action against Shivalik Builders for all the illegalities and encroachment committed by it. In the name of ‘slum rehabilitation’ on 140 acres of land at Golibar, Bandra; Shivalik Ventures have misused law and taken up work on land leased out by MHADA to at least 45 societies who have not given their consent to the extent required under law i.e. 70%. It is against law that the scheme is also converted into the 3K-Cluster Project under the Maharashtra Slum Areas Act, which in fact is not applicable to the said project. This issue is also challenged before the Mumbai High Court. The builders have been trying to push the project with false claims, manoeuvres as well as violent and repressive ways and means, using the local police force and their own anti-social elements, who have twice attempted to attack two of the local activists. It is this scheme which itself is a fraud, committed with a nexus of politicians and bureaucrats that has done a much larger harm against ‘rule of law’ by encroaching upon 65 acres of land belonging to the Defence Ministry where buildings are already built and standing today, which are absolutely illegal and needs to be demolished, if law is to be followed. Shivalik is now falsely claiming that what is built on the Defence Ministry’s land is only transit camps. In reality, the transit camps, least in number prepared for the people shifted out are uninhabitable and many are compelled to stay in rented houses outside, since pre-mature eviction was imposed by the builders with force and fraud. The same builders have also flouted the norms related to use of lands adjacent to the Railways. Even as the Adarsh and Lavasa scams continue to shame Maharashtra, there are hundreds of mega real – estate builders across Mumbai and the state who are the real encroachers, as against the hard-working urban poor, who in fact contribute the most essential services to the city. We hope the present Chief Minister will act quick and tough on these elements that are cheating the people and looting the nation. 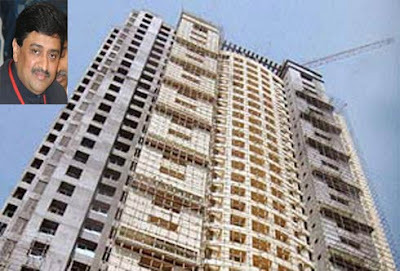 National Alliance of People’s Movements welcomes the decision of the Union Environment Ministry to demolish the illegal Adarsh society, which has become a symbol of corruption by the nexus of politicians – bureaucrats and builders in recent times. The society which was built by encroachment on army land has been pushed with violations of the Environment Protection Act and CRZ norms. The MoEF’s decision is fully legal and should pave the way for similar action in other cases. Do write letters today itself, supporting this action of the Ministry and demanding that the decision must be duly and immediately complied with; not changed at any level of the government, including the judiciary. As you all know, Lavasa is an even bigger scam, in which the MoEF Expert Committee is to come out with its Report tomorrow. Do write to the Ministry demanding that it should take a similar decision in Lavasa as well, which has been built on illegal land transfers, blatant environmental violations and rights of local communities. It must be highlight that there can be no ‘legal remedy’ for Adarsh, Lavasa or any such project based on corruption, legal and human rights violations. Do also write to support the mass action of more than 3,000 urban poor, who are on the streets of Mumbai today, demanding action against the illegal constructions by the Shivalik Builders over 140 acres of land, of which 65 acres is Defence land! You action will be part our collective chorus and struggle for the establishment of Rule of law and non-corrupt development planning. Mr. Luke Simpkins, Liberal Member of the Australian Parliament, paid a visit on Saturday 8th January to prominent dissident Thich Quang Do, Patriarch of the outlawed Unified Buddhist Church of Vietnam (UBCV) at the Thanh Minh Zen Monastery in Saigon (Ho Chi Minh City), where he is under house arrest. The meeting was arranged through the Australian Consulate in Saigon, but due to last minute problems, no-one from the Consulate came with Mr. Simpkins. He was obliged to ask the help of UBCV monks to bring him safely to Thich Quang Do’s residence. Patriarch Thich Quang Do told the International Buddhist Information Bureau by phone today that he had discussed in English with Mr. Simpkins about the growing tensions in Vietnam prior to the 11th Communist Party Congress, such as increased controls and harassments of religious and political dissidents. There is no improvement in Hanoi’s religious or human rights policies, he told the Australian MP, raising examples such as the arrest of lawyer Cu Huy Ha Vu, the recent closures of Websites and blogs and evidence of a widespread clampdown on freedom of expression, association and the press. Despite being ill with a heavy cold, Thich Quang Do received Mr. Simpkins for almost two hours. 4. To demand the respect of human rights as an essential element of all trade and diplomatic relations between Australia and Vietnam, and to condition development aid on concrete human rights progress. 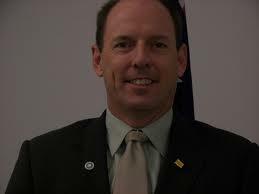 Mr Simpkins promised to raise these issues with the government on his return to Australia. He took a photo with Thich Quang Do, and asked him to give a brief message in Vietnamese which he recorded for the Vietnamese community in Australia. The NAPM would like to express its total disagreement with the statement made by the Chairperson alone, without substantiating it with any facts and figures and against the propriety of a high-level official Committee, involving both central and state officials and appointed pursuant to the directives of the Mumbai High Court. NAPM has already made presentations before MoEF and submitted a number of documents to prove that Lavasa is not only without the clearance which was supposed to have been sought from the Union Ministry, but is being pushed with serious impact on the Warasgaon dam reservoir and the catchment as well as the forest and deemed forest areas in the Mose river valley falling in the fragile eco system of the Western Ghats. Mr. Dayal has not addressed this issue, which the Committee and MoEF cannot dodge, but will have to address. That would decide the fate of Lavasa, with its construction planned and actualized, beyond 20,000 sq. mts with investment of thousands of crores. It is interesting to note that Mr. Dayal was in fact absent during the visit to the reservoir catchment and Mugaon village; site observations at Gadale dam in the Mose river-bed and at the NASA point (Sy. No. 27-28), where the land falls in forest and deemed forest areas. All his Committee members witnessed the huge cutting of hills, mountains, with blasting, drainage being deposited into the river / reservoir and roads as well as other structures built with massive clear felling of generations-old tree cover. They could not have over-looked the construction carried out in the reservoir land of 141 hectares under waters transferred from the state agency (Krishna Valley Development Corporation) to a private agency (Lavasa Corporation) and very close to the reservoir itself. All this and much more cannot be ignored since it involves serious violation of conditions, even by the state authorities, such as no construction within 50 mts of a water-body, which itself was a deviation from the normal rile of 100 mts. The so-called environmental clearance granted by the state department also had asked Lavasa to ensure a safe buffer zone between the forest and project area, which is also violated. Secondly, Mr Dayal’s statement concluding that there would be no impact on Pune’s water supply goes against the official records itself which state that 10% of Warasgaon dam waters are diverted to Lavasa. It may be noted that Pune’s city-dwellers received only 3 days water supply a week, even during last monsoon and hence the inadequacy cannot be estimated. It is also note worthy that the consent of the Pune Municipal Corporation was not sought for diversion of water to a private corporation, at the cost of one and a half the water supply to its constituency and with amending the initial agreement related to Warasgaon dam. The overall activities including tree and hill cutting and construction in the immediate catchment has certainly affected and will further affect the dam project. Any environmentalist, ecologist or even the local villagers would endorse this. All these and other issues were presented before the Committee by affected villagers Dnyaneshwar Bhikule, Dnyaneshwar Shedge, Thumabai Walekar, Leelabai Margale, Nikitabai and social activists Suniti S.R., Vishwambhar Chowdhury, Medha Patkar, Anna Hazare and Prakash Ambedkar. NAPM has constantly studied the Environment Protection Act and Forest Conservation Act and has assessed Lavasa’s work involving a number of violations of the same. Much of this was already pointed out by the Ministry as a reason for issuing stop-work orders and a notice on 25th November, asking Lavasa to show case as to why the construction on the land should not be demolished. It is known by now that Lavasa is a delicate politico-economic issue and hence any decision related to the same will have to be substantiated by solid facts. 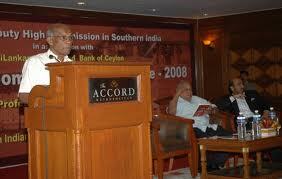 The Expert Committee of MoEF will have to explain the statement of Mr. Dayal on a scientific and legal basis. We would, therefore, wait and watch the further decision and actions by the MoEF as well as by the High Court of Mumbai. NAPM states with pain and anguish that Mr. Dayal’s statement cannot be taken as a scientific and comprehensive one, based on serious research, data and documents as is expected of any such high-level Committee, which can be only after all the Central and state members of the Committee fully apply their mind and analyze all the existing data and documents. NAPM has also raised and considered the issues of violation of revenue loss and land rights of the local population, including adivasis, nomadic tribes and marginalized farmers. This includes diversion of ceiling land (600+ hectares), purchase and transfer of adivasi lands, handing over of land under the reservoir acquired for the dam (public purpose) to Lavasa, a private a corporation. The issue of Lavasa obtaining the status of a Special Planning Authority, in spite of being a private corporate body is in itself a violation of law and the Constitution. All of these are partly investigated and admitted in the Report of the Principal Secretary, Revenue in 2009 and will have to be further investigated as also will have to be presented before the judicial authorities. The MoEF, through Additional Solicitor General has sought the postponement of the date for the Ministry’s decision from 10th to 17th January. Any decision by the Expert Committee and MoEF, if made on political and neither legal nor constitutional basis will discredit the Ministry and can become a barrier in it playing the role of protector of environment against the perpetrators of offences such as Lavasa City Corporation. NAPM shall continue to strive for justice and rule of law. Subhash Lalla, IAS Officer and the Member, State Human Rights Commission has resigned from his current post of State Human Rights Commission and was directly involved in the Adarsh scam. National Alliance of Peoples' Movements(NAPM) welcomes the resignation by Subhash Lalla and believes that the other Bureaucrats involved in the scam will follow the same and the buck will not only stop with their resignation only but full action will be taken against the guilty bureaucrats & politicians. NAPM had filed a complaint on 13th December with the Anti Corruption Bureau demanding registration of FIR against Subhash Lalla & Sushil Kumar Shinde and later a Writ Petition was also filed in the Bombay High Court which is still pending. Subhash Lalla was Secretary to the Chief Minister when the Adarsh Scandal took place; he favored the society and in turn got flats for his wife & daughter. Filming in Oxford is almost complete on an Anglo-French big screen version of the remarkable life of Aung San Suu Kyi with Michelle Yeoh as the Burmese opposition leader and David Thewlis as her university academic husband. Production year: 2011Directors: Luc BessonCast: David Thewlis, Michelle YeohMore on this filmThe Guardian today publishes the first stills from a Luc Besson-directed movie which will be called The Lady, the name by which she is known by a Burmese population banned from saying her real name. Aung San Suu Kyi was released from her latest period of house arrest by Burma's generals in November, which meant Yeoh could meet the woman she is playing. "You feel a real sense of calm when you're with her. She's a very striking figure. She is so proud of her culture and the best way to show it is with dignity and elegance. She has a glow and an aura about her." The film will chart her remarkable journey from housewife bringing up her children in Oxford to taking on the power of Burma's generals by becoming opposition leader. It will build up to that awful choice she had to make between country and family when her husband, Michael Aris, was diagnosed with terminal cancer. Yeoh, who made her name in Crouching Tiger, Hidden Dragon was instrumental in getting Besson on board to direct, helping to set up a meeting with the producer Andy Harries – who made The Queen – and the French director at Cannes. Besson said Aung San Suu Kyi was "more of a heroine than Joan of Arc" and he hoped the film would get her ongoing fight better known. "It is the fight of a woman without any weapons, just her kindness and her mentality. She is very Gandhi like. "She says we should have the right to decide our future, we should have the right to express ourselves. She is asking for things we all have and don't even think about any more. "How often in history do you have a person, a woman, who never curses, never steals anything, never does anything illegal and you put her under house arrest for 24 years, it is just insane." The film is a co-production between Besson's Europacorp and Harries's Left Bank Pictures and has been written by the novelist and screenwriter Rebecca Frayn – Harries's wife and the daughter of Michael Frayn. Harries said the genesis of the project goes back to the early 1990s when he and his wife visited Burma. "At the time Suu Kyi had just won the election but was under house arrest. It was an extraordinary experience for us. On the one hand, it is a stunningly beautiful country but on the other it is frightening – the austerity, the poverty, the sadness of the people. We weren't really allowed to go anywhere and people were scared of talking to us. It left a long impression on both of us." The film is not a biopic, said Harries. It will be set between 1988 – when Aung San Suu Kyi left Oxford to visit her sick mother and ended up staying – and 1999, the year Aris died after being diagnosed with cancer. Aris had been forbidden from entering Burma, a decision that left Aung San Suu Kyi with the almost impossible decision of whether to stay or go. "The film builds to that incredible and depressing crossroads," said Harries. "That is the human tragedy of it all." Harries had something of a road to travel to get where they are today. When, about three years ago, the project was in its early stages Aung San Suu Kyi had slipped under the radar – she wasn't news. After 18 months research and writing by Frayn they had a script but bad timing. "We were slipping in to the recession and this was going to be a tough, expensive movie," said Harries. It was too costly for it to be TV and came as Hollywood was veering towards bankable popcorn movies and away from risky drama." Harries ploughed on nevertheless, deciding that key to the whole project would be the actor playing Aung San Suu Kyi. "There was never any doubt in my mind about who should play her, Michelle Yeoh was perfect." There is about three weeks of filming left and it is due for an autumn release. The script was sent to her agent. "Michelle rang me 24 hours later saying she'd read the script and she was coming to London to meet me. We met, she looked at me and said 'this is a fantastic script, how are we going to do it?' "
Although they are making the film without Aung San Suu Kyi's permission, Harries said they felt a heavy obligation to get it right. "This is a very interesting story, a powerful story and, I think, an important story. She has not had the publicity that, say, Mandela had. "Her situation is remarkably similar, she is one of those extraordinary people driven by principle who are determined to bring about change peacefully." Harries said writing the script involved talking to people involved in the story including monks, activists, diplomats and academics. "It is a bit like a jigsaw involving a very wide group of people who knew her, knew him, knew the family. "A lot of the story, or the story we wanted to tell … of their relationship, is not known. It is a fantastic love story." Brian Senewiratne MA (Cantab), MBBChir(Cantab). MBBS (Hons) (Lond), MD(Lond), FRCP(Lond). FRACP Physician, Brisbane, Australia. Members and supporters of NAPM - AP assembled at Ambedkar Bhavan and thereafter moved towards Tankbund. K Srinivas, Editor, Andhra Jyoti Daily, garlanded the Ambedkar’s statue on Tank Bund and flagged off the yatra. Next stop was Kacheguda cross roads. From here, members of NAPM and representatives from various voluntary organizations walked towards Koti going through Sultan Bazar, distributing pamphlets, on the issues of Hawker’s Policy and Metro Rail, to the hawkers, small vendors, consumers, and shop keepers. The National Hawkers Policy, which aims at zoning regulations in cities will restrict the activities of thousands of hawkers of the twin cities. Due to the Metro Rail project, thousands of small shopkeepers, hawkers will be moved out, while many residents who live in that area will also be displaced. Land acquisition issues for metro rail were focused in the discussion with the shopkeepers. Alternatives instead of Metro Rail like increasing the number of RTC and MMTS services, to address the existing traffic problems in the city were stressed upon. NAPM member and HRF president, Jeevan Kumar, NAPM AP convener, BRK Raju, Professor Ramachdraiah Citizens for a Better Public Transport, K. Saraswati, Co – Convener, NAPM AP, addressed the press about the objectives of the Yatra, and issues of FDI in retail, Hawker’s policy, and displacement by Metro rail. NAPM demanded a public debate on these issues, as the project was sanctioned without any public consultations. 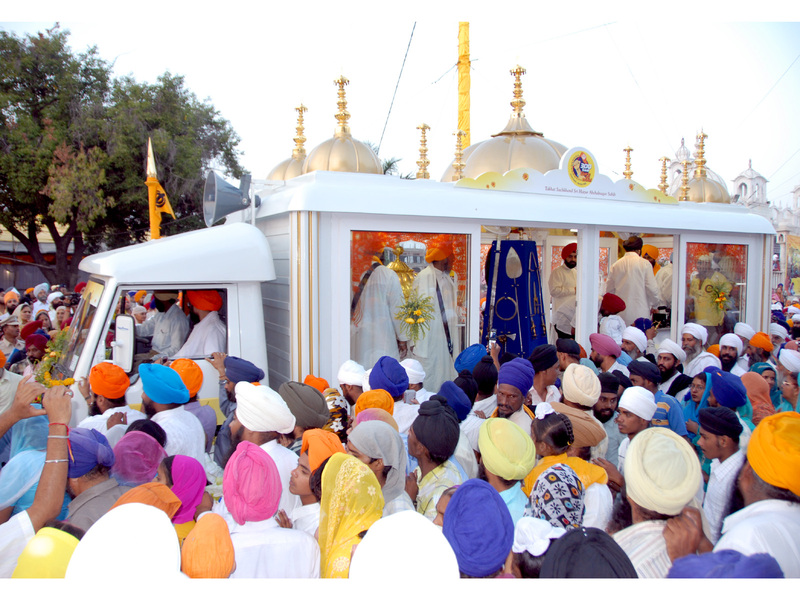 The city yatra attracted many hawkers and shopkeepers. Afternoon, we left the city towards Suryapet of Nalgonda district. In the evening, we arrived at Endlappally, where a Sponge Iron factory by Saudamini Steels Pvt. Ltd. is proposed to be set up. Saudamini Steels Pvt. Ltd, already has a sponge iron facility in this village. And the people are already experiencing the impacts of pollution from this facility which is of a small capacity. The new project will have a capacity of 12000 Metric Tones of Sponge Iron production, using 20000 tones of coal and 10000 tones of Calcium Carbonate per annum. 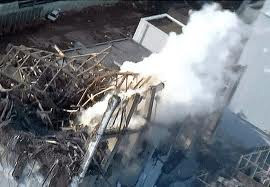 The effects of having improper ash disposal mechanism will contaminate the ground water. Air pollution will also occur due to SO2 and CO. A public hearing was scheduled on December 1st 2010.The villagers contacted NAPM to help with the public hearing. Dr. K. Babu Rao retired scientist and member of NAPM toured the villages before the public hearing and explained the issues from the project. A film on the impacts of Sponge Iron factories in Jharkhand, ‘the iron is hot’ was shown very widely in the villages. This also helped in building up the resistance movement. Hundreds of villagers were getting prepared to oppose the project in the Public Hearing. However, on the day of the Public Hearing it was announced that the Public hearing has been cancelled as the project proponent has decided to withdraw the project ‘temporarily’. But the people are sure that the promoters will come back with a different design / model, they told us that the company is coming out with new modified proposals and the local officials mentioned that they will conduct a fresh public hearing on this. This project, if taken up, will affect the lives and livelihoods of villagers from Elkapally, Endlapally, Pinlapally, Tekumatla, Elkaram. On our arrival, senior people of Endlapally welcomed the Yatris. The local peasant’s youth along with JJY (Jana Jagruti Yatra) volunteers took out a rally against the project walking through the village streets and invited the villagers for a meeting. By 7 PM, in the Hanuman temple, the women folk and peasants, young and old people gathered in good numbers. The meeting was presided over by Dharmajana Reddy, Advocate, and local leader. NAPM Co – Convener, K. Saraswati, briefly mentioned about the objectives of the JJY, and introduced the volunteers of JJY. Scientist Dr. Babu Rao, explained the problems from the Sponge Iron Factory to the local people’s health and agriculture. PS Ajay Kumar, Co-Convener of NAPM AP, talked about the problems in agriculture and the need to focus once again on agriculture. He said that due to the degradation of value for agriculture as an occupation, many youth are being lured with the promise of jobs in many places, and are thus ultimately becoming victims of Corporate and Governmental deceit – finally loosing their land, resources and ending up with menial jobs as contract labourers. Further, Mr. Delhi rao, activist from Sompeta, detailed various affects of industrial policy and briefed, how these policies had set a large scale campaign in Sompeta which sent back NCC packing. Local leader Shobha Rani called for united struggle to confront the Saudamini Project. .
After this meeting, the villagers hosted dinner for the Yatris and provided accommodation for the night. 17-dec-2010: Warangal Town, Warangal district. JJY bus left at 6am from Suryapet and reached Warangal by 8.30am. The local activities were co-ordinated by Ms. Nirmala of Chetana Society, which works on weavers issues, and our accommodation and meals were provided by NAPM member and RTI activist Rakesh Dubbudu. A meeting was convened at Shatarani Chenetha Sahakara Sangham. Nirmala, activist from Chetana Society, narrated some of the problems that are posed among various weavers sections every day; and criticized government for its inadequate policies, and for its negligent attitude towards implementation of various existing welfare programmes. She demanded for sanction of immediate subsidy for raw materials, issuing of artisan credit cards, and complete restructuring and review of National Fibre Policy which if implemented will favour man made fibre which will benefit large corporations like reliance involved in the manufacture of artificial fibers. while impoverishing the weavers further, as they are dependent on natural fibers. While cotton farmers don’t get a proper price for their produce, cotton yarn prices are skyrocketing, impacting the lives of the weavers. In addition, the government has removed the provision of subsidies for the purchase of cotton and silk yarn, which is impacting the profits of the weavers and impoverishing them. President of Shatarani Cheneta Sahakara Sangham, Rajendar, insisted that the raw material should be available at a subsidized price and criticized the government for not taking adequate steps to stop the migration of labour to other sectors where the daily wages are more than in weaving. He also briefly mentioned about the helplessness of present weaving community, aged around 50/60 years, as weaving is becoming increasingly difficult for them both from their age point of view and from their inability to adapt to the new job or a labour work, while the new generation does not find weaving attractive as a profession. NAPM activists discussed the need for weavers coming together and form unions in order to campaign for their rights and also form a state wide federation and also promised to help the weavers by promoting their products among the public. The Yatris also visited two other societies in the weaver’s colony. After lunch the JJY left for Manugur and reached there by Night. We were received by Subhani and Kishore of MORE organization, and Gadhi Babu of ASDS. Dinner and the breakfast next day, was provided courtesy MORE. 18-dec-2010 Morn: Eggedigudem Village, Manuguru Mandal, Khammam District. The JJY reached Eggedigudem village 4 kms from Manuguru, by 8am. Here, the Yatris along with local villagers took out a rally in the village opposing the land acquisition by Singareni Collaries Lts, which is proposing to acquire 3000 acres of land from four villages. Later, a meeting was convened at Anjaneya swamy temple. The villages accused SCCL that the company wants to take their land only for dumping the Over Burden from the existing open cast mines, though they were claiming that they want to take the land for fresh open cast mines. Villagers also said, that there was no coal under their land, and if indeed there was any coal available, then they are willing to allow deep shaft mining, under their lands, which will help them in continuing their agriculture while the mining can also be continued. The four villages are Padma Gudem, Mallai Gudem, Kommu Gudem and Eggedi Gudem. The villagers alleged that the authorities are forcing them to evacuate and also luring them with jobs. So far, no development plans such as roads, drains, medical facilities etc., have been implemented in and around the mining area. The villagers have also demanded re-survey since EC has not been issued yet. Some of the local activists by name E. Rajaiah, E. Bhaskar Rao, A. Rajeshwari, L. Krishna Rao and Ganhi Babu, Director of ASDS etc., have participated actively. This was followed by a Press Meet at Manuguru. 11am - Press Meet at Manugooru: The meeting was presided by BRK Raju, State Convener of NAPM. He mentioned to the media about the purpose of Yatra which is to see the need, cause and problems of various projects posed in the name of development which are actually resulting in large scale displacement and destruction of livelihoods and ecology. From Manuguru, JJY left for Chandragonda, also in Khammam District. 2pm - Chandrugonda, Adivasi Village, Khammam District. JJY arrived at Chandragonda village by 2pm. From the outskirts of the village towards the market yard, the yatris took a procession a Vigilance Yatra on Forest Rights of Adivasis. Adivasi friends from surrounding villages in the Agency area, joined the procession. The procession ended at the Market Yard, where a public meeting was organized by APVVU and PVGSSS. Pentalam Chairman, Sayem Gangaraju, mentioned about 620 acres of land being cultivated and depended on, by 180 families, under dispute between revenue and forest officials. Both the officials at the moment are not allowing these families to harvest the crop: each claims that the land belongs with their respective departments. The villagers said they were in possession of the land since 40 years. Bulli Narayana from Namavaram alleged that no pattas have been grated so far, for a forest land of 200 acres which is under ‘podu’ cultivation for more than 30-40 years. Ruth Mani, activist from PVGSSS, requested for the joint survey of forest lands to settle the disputes between the officials; and complained about the improper drawing of funds from the accounts of farmers by officials under NREGS scheme. Gandhi Babu, Director of ASDS, and PS Ajay Kumar, Co-convener of NAPM explained about the forest rights act in detail and called united action for the best use of it. From Chandrakonda we traveled to Suryampeta. Here Pankajam Energy ltd, a private company, has purchased about 140 acres of land from the villagers of Annadevara Village. (The lands are adjoining the village of Suryampeta). The villagers are afraid of the impacts from the Thermal Power Plant which is being proposed by Pankajam Energy ltd, with an investment of over 2000 crores, on this same land. Full details of the project are known for example if the project is a Naptha based, Gas based, bio mass based or coal based. Babjee of APVVU promised to give the EIA report. It was a bit unclear how a project with such a huge investment could be set up in 140 acres. NAPM activists encouraged the people to fight against the project and promised to help them to get information and the ways and means to undertake the campaign. The villagers provided dinner to the yatris and we left for over night journey to Anakapalli, East Godavari dist. PARIS, 14 November 2010 (IBIB) - The International Buddhist Information Bureau has received the following message from the Most Venerable Thich Quang Do, Patriarch of the Unified Buddhist Church of Vietnam (UBCV) to Daw Aung San Suu Kyi, leader of the democracy movement in Burma, warmly welcoming her release. Ms. Aung San Suu Kyi, 65, was released on Saturday 13 November after spending 15 of the past 21 years in detention. 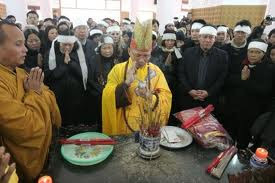 Expressing the joy and emotion of the Unified Buddhist Church of Vietnam, Thich Quang Do wrote: “For people all around the world – especially those suffering oppression and deprivation of liberty, this is also the day of their freedom, of our freedom, and we celebrate it joyously together. My heart is with you on this day, for I too have spent almost three decades in prison and internal exile simply for seeking democracy for my people, and I am still under house arrest in my monastery in Saigon”. The UBCV leader sent the message clandestinely from the Thanh Minh Zen Monastery in Saigon, requesting IBIB to forward it to Ms Suu Kyi in Rangoon. "I am deeply moved and filled with joy by the news of your release from house arrest. On behalf of the Sangha and lay-followers of the Unified Buddhist Church of Vietnam, please accept my warmest wishes on this happiest of days – the day of your freedom. For people all around the world – especially those suffering oppression and deprivation of liberty, this is also the day of their freedom, of our freedom, and we celebrate it joyously together. My heart is with you on this day, for I too have spent almost three decades in prison and internal exile simply for seeking democracy for my people, and I am still under house arrest in my monastery in Saigon. "Throughout these long years of isolation, you have waged a silent combat against tyranny, using dignity to overcome detention, serenity to overcome seclusion. You have never bowed down. Your image inspired the world, and sent a message which rang out loud and clear – that violence is powerless against the people’s will for freedom. In Vietnam, we heard your voice, and we seek, against great odds, to tread this nonviolent path towards human rights, democracy and the rule of law. "The road to democracy in Burma is still arduous and long, but I place my faith in your determination and clairvoyance to play a leading role in this process. I urge the people of Burma to support you in your efforts to bring national reconciliation and peace to your country, and call upon the regime to respect their pledge by ensuring your safety and guaranteeing your freedom of expression, movement, association and assembly. As we celebrate your freedom, we also remember the other 2,200 political prisoners still under detention in Burma, and call for their immediate and unconditional release”. Promotion Of Civil Unrest 14 October, 2010 - Gelephu dungkhag court sentenced last week a 40-year old man to three years in prison for attempting to promote civil unrest. 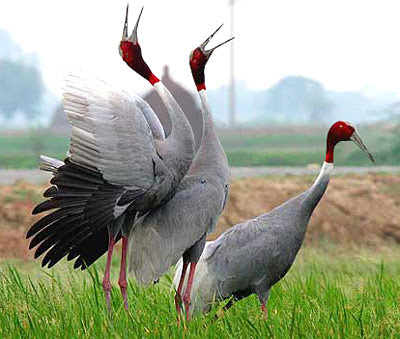 Simkharkha is a one-day and Gonggaon a two-day walk from the nearest road head in Surey. Both villages do not have electricity. But Prem Singh Gurung, with the help of some people, is believed to have carried a projector and a generator to screen the movies in the village. Kuensel sources said that Prem Singh Gurung invited the villagers, saying that he would be screening Nepali movies, but in between he would show movies on Christianity. “When people walked away, saying that they don’t want to watch such movies, he again showed the Nepali movies,” said a source from Jigmecholing. Gelephu police filed the case on July 23 and charged him for the promotion of civil unrest,and violation of sections 105(1) and 110 of Bhutan information, communication and media act, which says that a producer or owner or importer of any film, which is intended for public exhibition by any mode of information and communication technology or media within Bhutan,shall submit the film for examination; and failure to comply with the requirement shall be an offence. But Kuensel sources said that, since it could not be proved beyond reasonable doubt that Prem Singh Gurung promoted civil unrest, he was charged with an attempt to promote civil unrest. The judgment was passed on October 6. Gelephu police, court officials and officials from the office of attorney general refused to comment on the case and the verdict. The government has just made case against this fellow worker of the Gospel. In fact they just want to persecute Christians and stop from preaching by any means. Pl pray for early release of this brother and also pray for boldness to share Gospel inmates in the mean time of his release. 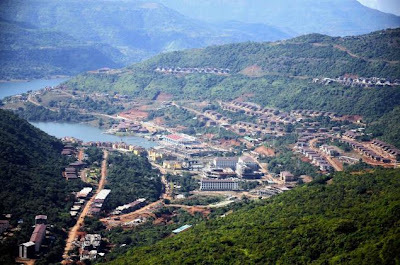 Lavasa Lake City Corporation approached the Bombay High Court’s Division bench of Chief Justice Mohit Shah and Justice S J Kathawala on Thursday to get the stop work notice issued by the Ministry of Environment & Forests stayed. However, the Hon’ble Court refused Lavasa’s stay petition and clubbed the case with the NAPMs petition in the same matter. 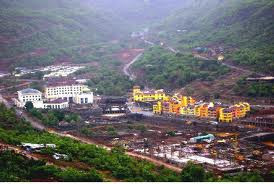 Lavasa Corporation through their counsel argued that the Stop Work Notice was delayed and under pressure of the activists and the project did not require the Environmental Clearance since it was a tourism project and not a town ship project as well as around 6000 crore rupees had already been invested in the same. The MoEF through Additional Solicitor General Mr. M. Khambata responded that the delay in sending the Notice was not the issue but "when did they (Lavasa) know (that clearances were necessary)" was the issue. He further added, "they brazenly went on with the construction, though admittedly they had no environmental clearance," The burden to prove that the project was not harming the environment was on Lavasa, he added. Further, said that MOEF was ready to give hearing to Lavasa at the earliest, and would pass order before December 31st, 2010. Acting upon NAPMs complaint filed on 20th September, 2010 the Ministry of Environment and Forests (MoEF) had issued a show cause notice to Lavasa, an HCC group company, on November 20th alleging that it had not secured due environmental clearances before starting construction on an area covering 5,000 acres, while the total area of the Hill city planned is declared to be 25,000 acres; to which Lavasa has given a long reply of 1000 pages which the Ministry has looked into, before issuing the notice a delegation was informed. The Ministry asked the company to submit the details of the project, clearances obtained and status of the project with photographs within 15 days along with a reason as to why should the construction since 2004 not be demolished, forthwith in entirety. Pending decision by the MoEF on legal violations involved, all work at the site has been stopped. NAPM was represented in the Court by former CBI official and IPS turned lawyer YP Singh & Adv Ashish Mehta. Also present were farmers from Lavasa project-affected villages and environmental activist Vishambar Choudhary, one of the petitioners on behalf of NAPM. The seminar on Burma: ethnic minorities, political prisoners and elections is held at the Amnesty International branch office in Seoul on Oct. 2, 2010. The activists from Myanmar, Malaysia, New Zealand, Switzerland, Canada, England, US and other countries are attended. On behalf of Amnesty International, the meeting organizer Mr. Tom Smith introduced about Amnesty International activities how it was started in South Korea. He recalled back the Myanmar’s uprising in Aug. 1988and Sept. 2007 as how the Myanmar military government prohibited freedom of association. He also argued, many of ethnic minorities are continuously restricted to exercising their indigenous rights by the junta government . Those repressions of political activity are arbitrary arrests, unfair trials resulting in imprisonment, torture, and extrajudicial executions. Less than a month is remains for Myanmar’s nationwide election, which will be held on Nov. 7, 2010. This will be the first time in 20 years, since Myanmar junta refused to transfer power to the winner, Aung San Suu Kyi in 1990 election. Amnesty International already condemned Myanmar’s upcoming election and its flaw constitution which was adopted in 2008 in amidst of cyclone disasters. The constitution guaranteed military supremacy continuation in the future Myanmar’s hybrid democracy government. It is clear the constitution drafting was not opened to the public in order to exercising freedom of expression. “In February 2008, the government passed a law prohibiting any criticism of the draft constitution or the process by which it was written,” said Benjamin Zawacki, Amnesty International’s Researcher. The election will just produce the junta projected result, it will not bring free and fair, in this such circumstance of the military tightly control election process which is merely no transparency. On June 27, 2010 S. Korea based Chin Democracy and Human Rights Network made a Press Release, calling the military junta to allow regional and international election observers. They also asked to amend the constitution according to democratic and human rights standard. Amnesty International also called for a Commission of Inquiry into crimes against humanity and possible war crimes in Myanmar. Amnesty International is also constantly working for the Comfort Women issue in South Korea.